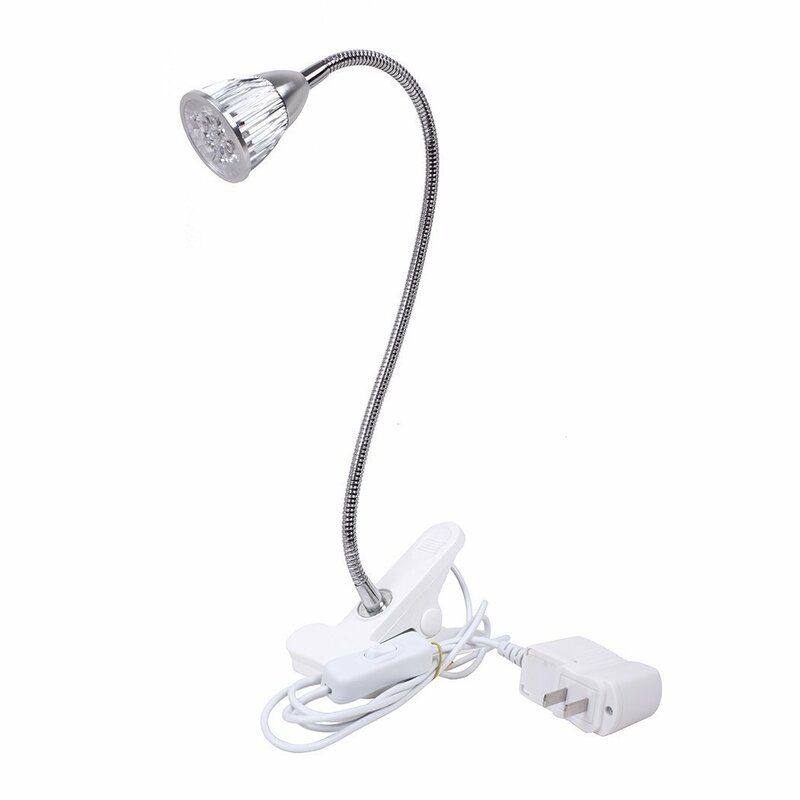 Home › Energy-Efficient LED Lighting › Led Grow Lights Hgrope 5W Led Clip Desk Lamp Clamp Flexible Neck 360 Degree F.. Led Grow Lights Hgrope 5W Led Clip Desk Lamp Clamp Flexible Neck 360 Degree F..
Hgrope Grow Light helps accelerate the growth of indoor plants. Emits the wavelength of light which can be fully absorbed by the plants photosynthesis, best for blooming and fruit & for promoting the leaf, can rapidly improve the health of plant and growing. Please be noted that bulbs are not replaceable, but we do provide 2 years warranty. New Generation Lamp: Improved the head of the lamp, it thicker and smoother than used to be. You won't cut your fingers any more. Thicker cover provides better heat dissipation too. Height: 19 inches (from base to head of lamp), Clamping range up to 2 inches, Cord length: 53 inches, Off/On switch down the clamp cord. Hgrope Guarranty: (Be noted you are choosing Brand 'Hgrope')Ready to respond within 24 hours, 30-day money back guarantee, 24 months replacement warranty and lifetime support guarantee.